The Waste Hierarchy sets out a hierarchy of options for managing waste in terms of what best practices for managing waste. 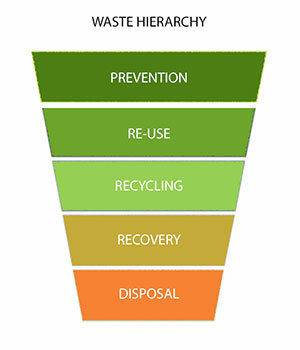 At Froom we follow the waste hierarchy when choosing the best way to manage the waste we collect. The government’s landfill directive states targets for reducing the amount of waste sent to landfill sites in the UK. 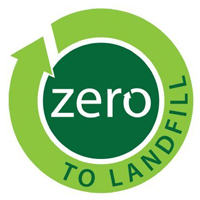 The targets are 80/85% of the waste we collect will be recycled, this means that nearly all of the waste collected in our skips is processed through our waste and recycling site so that it can be recycled. – helping to save raw material and energy consumption. This means that we are making a valuable contribution to reducing global warming. Froom Skip Hire is fully licenced with The Environmental Agency and local authority. At Froom skip hire our environmental recycling policy ensures we recycle as much waste as possible to best practice. Want to find out more? Visit The Environmental Agency Website.